This month Together met up with a British movie star tackling the interesting roles. Just like Colette, the character she plays in her new intriguing biographical drama, Keira Knightley struggled to express herself as a youngster, unable to read or write to a recognised standard and, although never officially diagnosed by British Dyslexia Association, the actress battled to overcome the learning difficulty her early teens, with acting the one thing that she found salvation in. Given no formal training as an actress, Knightley first came to the fore in 2002’s Bend It Like Beckham, and after completing her studies in English Literature and Political History, further roles – in the likes of Love Actually, Pirates of the Caribbean: The Curse of the Black Pearl and Pride and Prejudice (for which she earned Best Actress nominations at the Golden Globes and the Academy Awards in 2006) – saw her installed as one of the UK’s finest acting exports. After a five-year period during which she re-trod the stage in the West End whilst embarking on independent film projects, Knightley returned in The Imitation Game as cryptanalyst and numismatist Joan Clarke, with Benedict Cumberbatch as Alan Turing, decrypting German intelligence codes for the British government in the Second World War. Now back in Oscar-winning form, Colette tells the story of a woman – Sidonie-Gabrielle Colette – pushed by her husband to write under his name. Upon the success of her literature, she fights to make her talents her own, challenging gender norms in terms of the ability of women to write, and on controversial topics, as well as tackling broader gender norms. 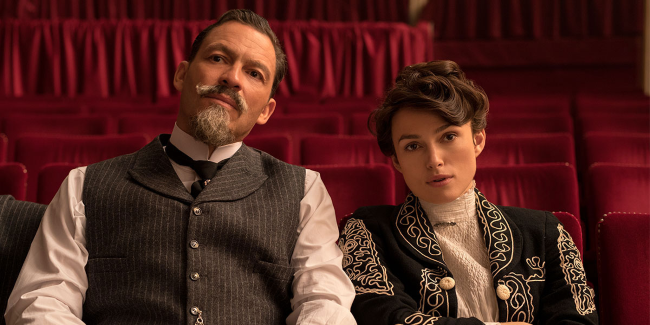 Knightley, 33, stars opposite Dominic West in Colette. She married former Klaxons member James Righton in May 2013 and they have a three-year-old daughter. Keira: Well I loved playing her. It was such a fun, amazing opportunity. You need to play this woman, know who she was – she was a real kind of maverick, a trailblazer. She lived her life the way that she wanted to live it. She lived it unapologetically, she loved who she was, and she had experiences that she wanted to happen. It was almost like she had to make a hole in the world for herself and she did, and I felt very tall when I was playing her. I felt empowered and that’s what I want people to get when they see it. It’s a really fun film, but ultimately, she’s just cool. She is charisma, power, strength and courage. But, equally, she had this fascinating relationship with her first husband, who took credit for her work. 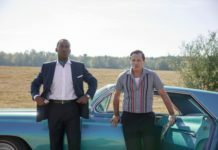 What do you like about the period that this film is set in? Well, it was a fascinating period, the Belle Époque and there was a sort of sexual revolution going on. In art, in writing… it was an extraordinary time period. But Colette was definitely a rule-breaker and she lived her life the way that she wanted. But I do admire that era so much, though. In terms of actors, and Hollywood, back then we were allowed our fantasies and they didn’t have to be sordid and that’s the kind of place movie stars occupied. They were larger than life and mythical figures. Next articleTechnology: Is it too smart for its own good?